Spine has chips and cover has creases. 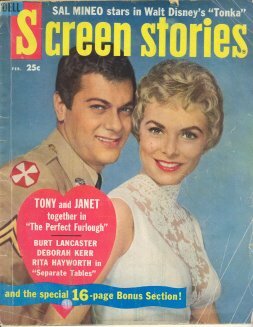 Cover depicts Tony Curtis and Janet Leigh. Features Auntie Mame, The Buccaneer, and These Thousand Hills.